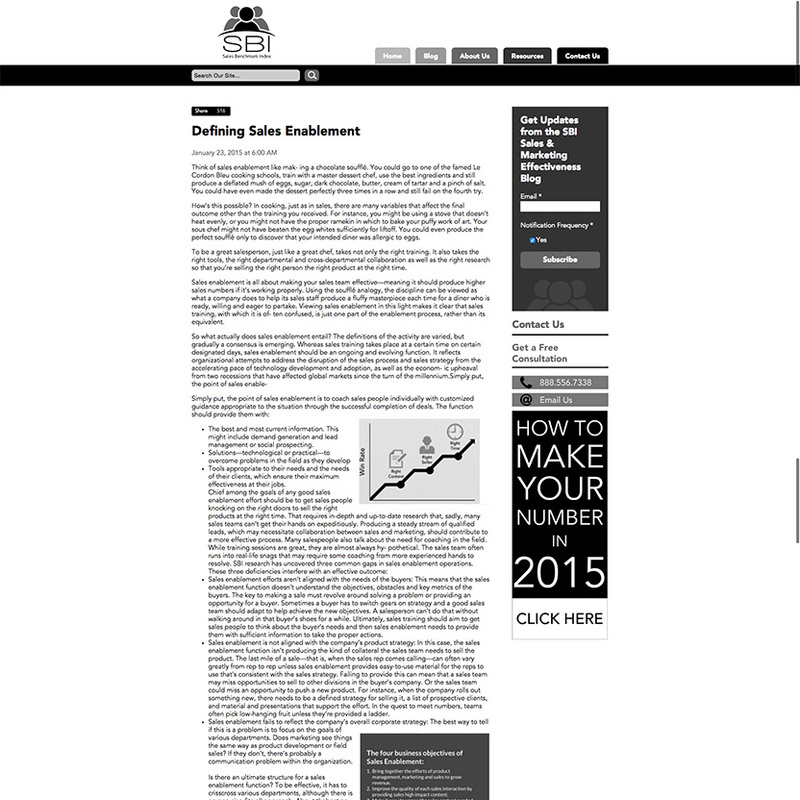 Sales Benchmark Index came to New Breed in need of a website redesign that focused on the individuals coming to the site and the content they craved. SBI specifically wanted to leverage the HubSpot content-optimization system while significantly employing smart and personalized content throughout the site. As a marketing- and sales-consulting company for B2Bs, its staff members deal with a number of different departments, from HR to marketing. 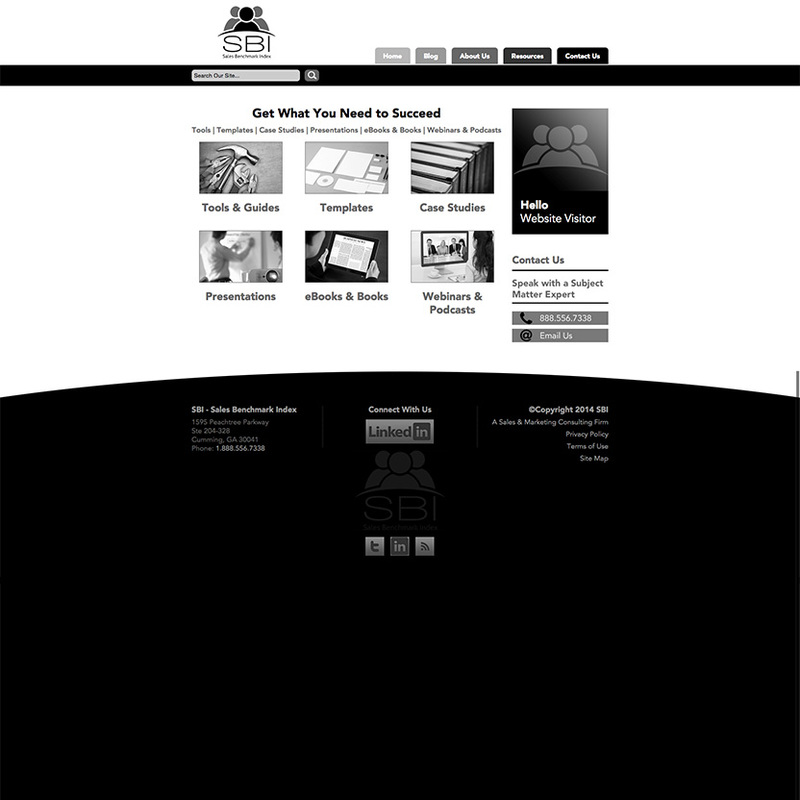 They needed a website that spoke to each persona intuitively without giving the site a personality disorder. 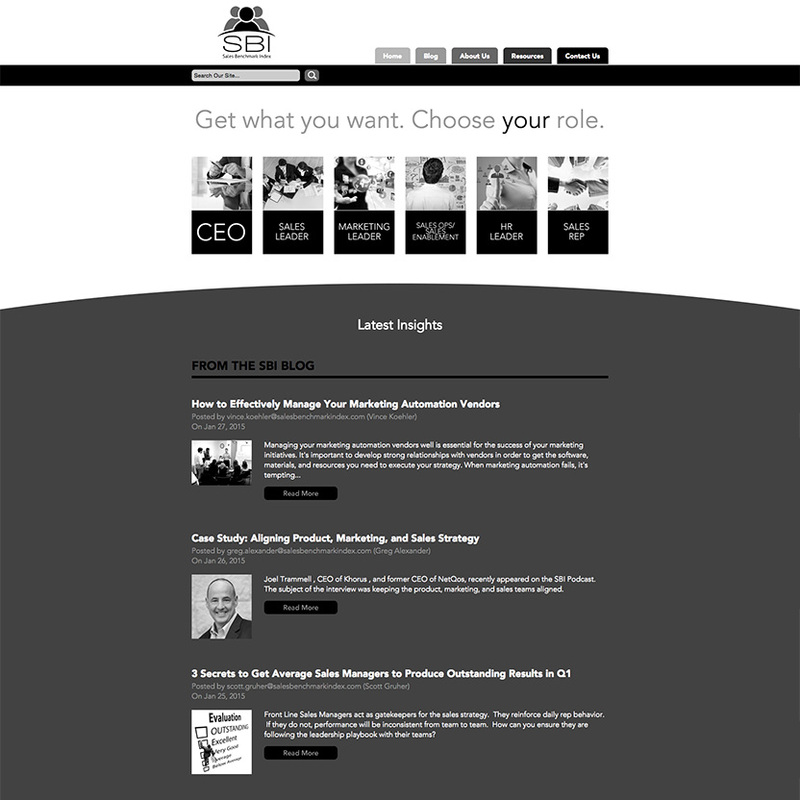 In addition, the website had to focus on the immense amounts of content they were producing for each of their personas. 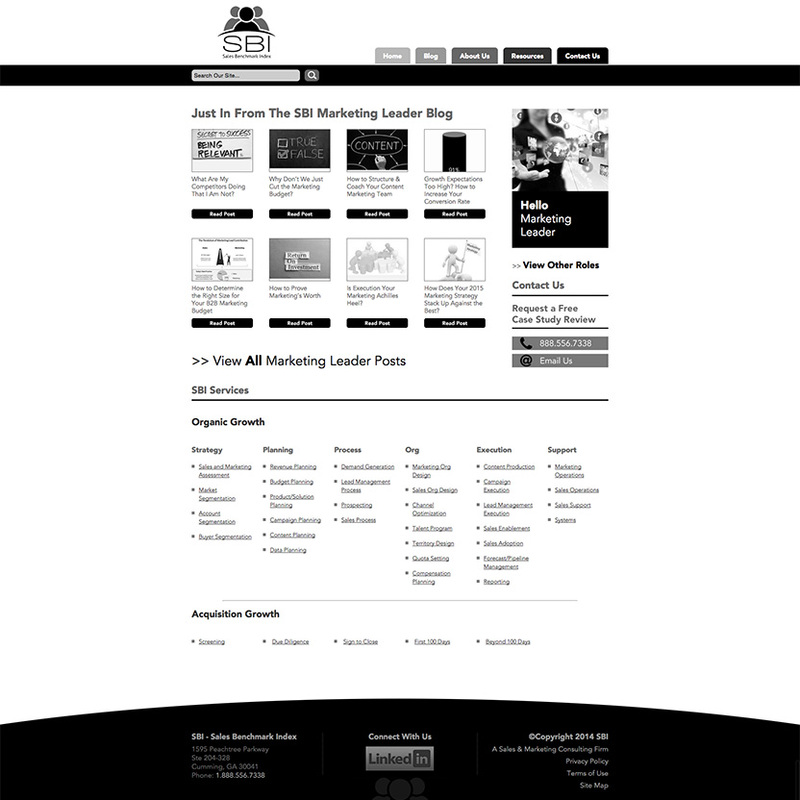 Ultimately, SBI wanted a sales-ready website and lead-conversion machine that would present a unique experience for each visitor. 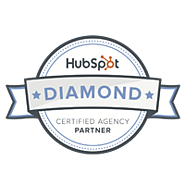 Our partnership with SBI began through a referral from HubSpot. It was one of the first enterprise-level HubSpot users that wanted to leverage the COS.
Additionally, we offered SBI's team custom training in the HubSpot COS. This way, it can manage and further develop its site internally. Having a best-in-class website is essential for separating your business from the competition and can be an amazing tool for helping you achieve your business goals. With New Breed’s expert team of certified COS designers and inbound marketers, you can trust you’ll receive a custom Web presence and marketing strategy that will help you attract quality traffic, convert that traffic into leads and close those leads into customers.